Vibrant street life, stunning green spaces, spectacular architecture. 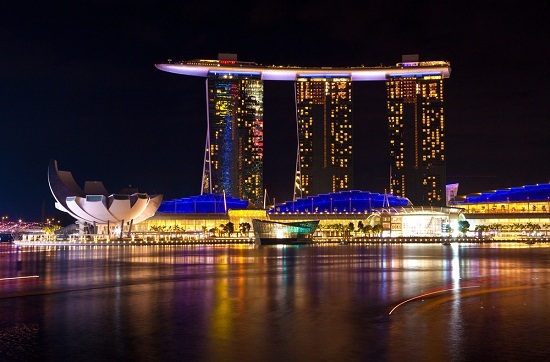 And don’t even get us started on the food... With surprises at every turn, a stopover in Singapore is oh so much more than a one-night affair, says expat writer Mo Lawson. 0700 It’s worth an early start to see the city’s tai chi experts serenely setting themselves up for the day in the Singapore Botanic Gardens. Home to lush lawns and the jewelled colours of the world’s largest orchid display, it’s one of 300 parks in this Garden City, and Singapore’s first UNESCO World Heritage site. From here, hop on the MRT to zip around the city. 1130 A fusion of Chinese, Malay, Indian and Peranakan cultures, Singapore has a zesty pan-Asian buzz and flavour. In Chinatown visit its Heritage Centre, pick up some souvenirs, then savour a steaming bowl of fish bee hoon soup at the Chinatown Complex Food Centre, a hawker spot where dishes rarely cost more than a few pounds. Seek out one of the city’s two Michelin-starred stalls here, too. After the bustle, take some time to reflect at the dazzling Buddha Tooth Relic Temple. 1500 For a taste of quirky local life, nearby Tiong Bahru is an offbeat area packed with Art Deco shops and cool coffee houses. Pause for a velvet-smooth latte at Tiong Bahru Bakery or 40 Hands. 1800 Sip sundowners at 1-Altitude, the city’s highest al fresco bar (pictured above). It’s a front-row seat for watching the Wonder Full light display unfold across the bay at 8pm. 2030 Dinner? Head to hipster hangout Keong Saik Road for bar burgers and cocktails at Potato Head, or go all-out with a tasting menu at the Tippling Club. 0900 Start the day with a touch of tranquillity above the treetops, strolling along the city’s highest pedestrian bridge, the Henderson Waves. Part of the Southern Ridges – six miles of trails spanning some of Singapore’s most popular open spaces – its panoramic views offer an exhilarating perspective. 1000 From Mount Faber, a cable car flies high over palms – soaring straight through a skyscraper – to the funpark of Sentosa, where you’ll find Universal Studios, water and adventure parks, and three beaches. Lunch at the Bikini Bar. 1500 Take a cab back to the mainland and step into Gardens by the Bay, where a grove of Supertrees, a picturesque lake and sculpture-studded gardens sit alongside vast conservatories housing a fragrant Flower Dome and an ethereal Cloud Forest. 1700 Take the MRT from Bayfront to Orchard Road. This street has more than a mile of shops above and below ground. Lose yourself in the maze of little stalls in Lucky Plaza. Or opt for Malay enclave Kampong Glam (Nicoll Highway on the MRT), where shoppers should head to colourful Haji Lane (pictured below) for fashion and homewares by local entrepreneurs. 1930 As darkness falls, the Night Safari calls. Encounter 2,500 animals in their nocturnal habitats, dine by candlelight on the Gourmet Safari Express and feel the glow as you watch fire-eating dancers. 0900 Head east to Changi City Point, where a bumboat chugs you over to the hidden gem of Pulau Ubin – a kickback to life before concrete. Hire bikes to take in the island’s unspoilt charm. 1200 The route back to town takes you right past Long Beach Seafood, with its chilli crab and sweet buns. Work those pliers and wear the apron – it’s messy. 1500 Take a 48 bus to Rochor and walk to historic Little India, where tiny shops on Serangoon Road sell incense, saris and bracelets. Squeeze around the Tekka Centre amid hawkers and rainbows of fabric, or get to know another culture at the interactive Peranakan Museum. To add a stopover or stay longer in Singapore, call our Experts on 0800 258 5773, or make an appointment to see us in-store.